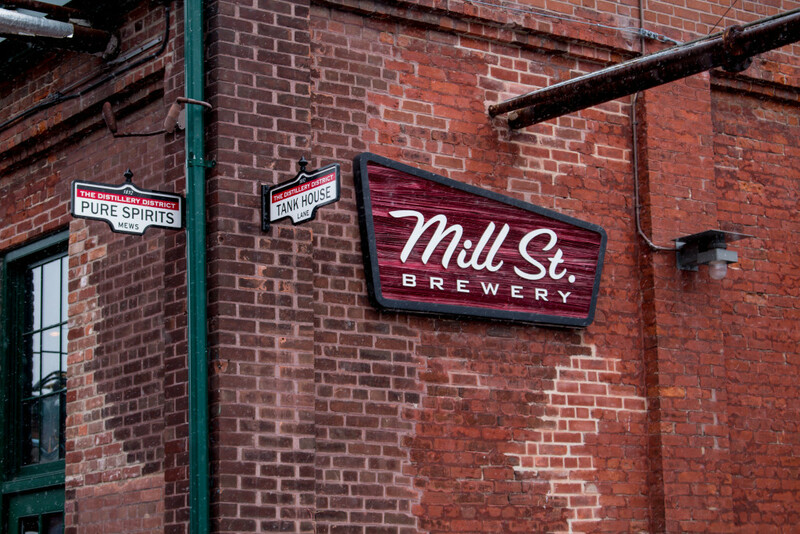 A couple of weeks ago, I headed to Toronto to meet the folks over at Mill Street Brewery. 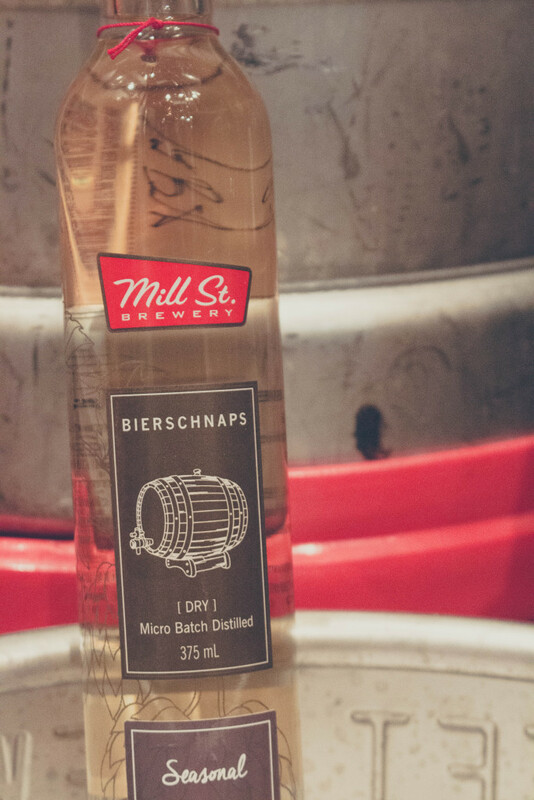 I hadn’t been to their brewery before, nor had I visited the Distillery District, so I was excited about both. I also had some old blogging and Internet friends going to the event, too, so I was excited to see them and re-connect. The first person that I connected with was Andrea Tomkins (aka, missfish). She’s from Ottawa also so we ended up hanging out in the Porter Airlines lounge at YOW and flying to Toronto pretty close together. After landing in Toronto, we decided to Uber together to the event as it was both of our inaugural Uber ride and neither of us wanted to partake in that solo. It was a pretty good experience and fifteen minutes later, we were dropped in the Distillery District and ready for a nice cold beer. Let’s quickly get the acquisition part out of the way because our weekend was SO fun and we really only spent a few minutes talking about this during the Q&A session. 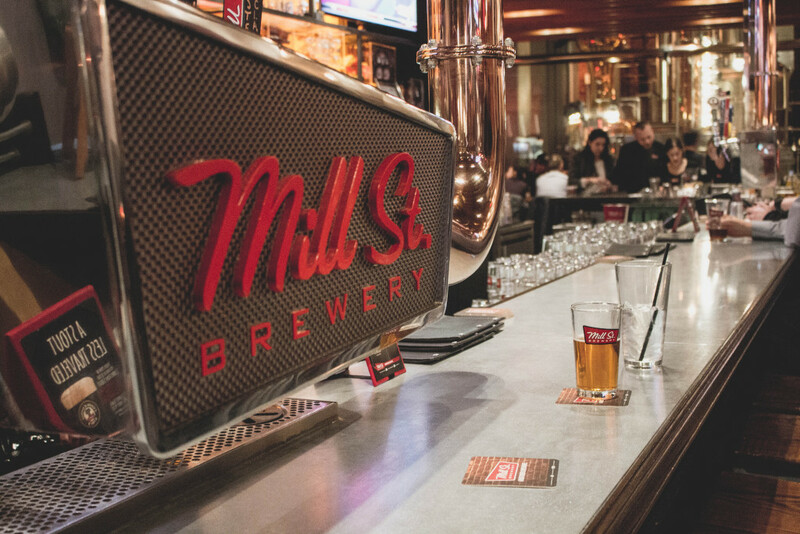 Mill Street is Canada’s largest producer of organic beer so it was only a matter of time before they had the heads turn at one of Canada’s largest breweries… However, that didn’t stop people from expressing their opinions on what a craft brewery should and shouldn’t be. Let’s just say that a lot of people thought that being swallowed up by a major brewing company was the equivalent to selling out. But, at the end of the day, they are a business and while it would be nice to stay small and produce everything yourself and “stick it to the man”, all good things must evolve and grow in order to reach that next level. We had a really great Q&A session with Steve Abrams, co-founder, and Joel Manning, brewmaster, about the changes and what it meant for the future of the company and the beer. 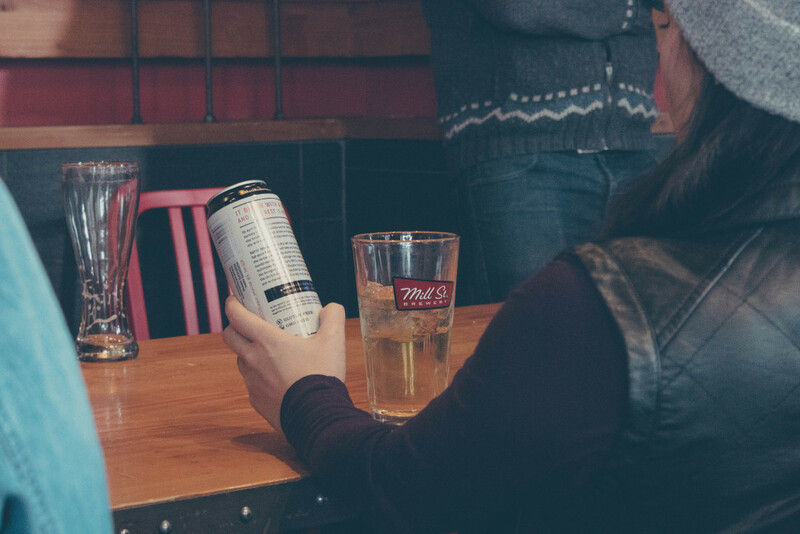 Both gentlemen felt confident that they were going to maintain the spirit of Mill Street as they moved forward and that Labatt was interested in maintaining the essence of what makes craft beer, craft. 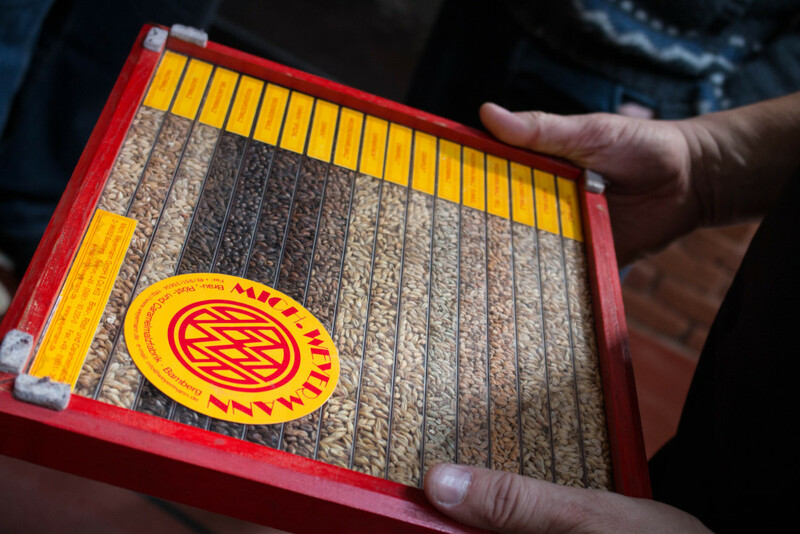 In short: Joel would continue to ensure that the beer was made the same way, using the same ingredients — even if there was corporate pushback. Okay, now that you know a little more about the acquisition and where they’re at, let’s recap more of the event, shall we? 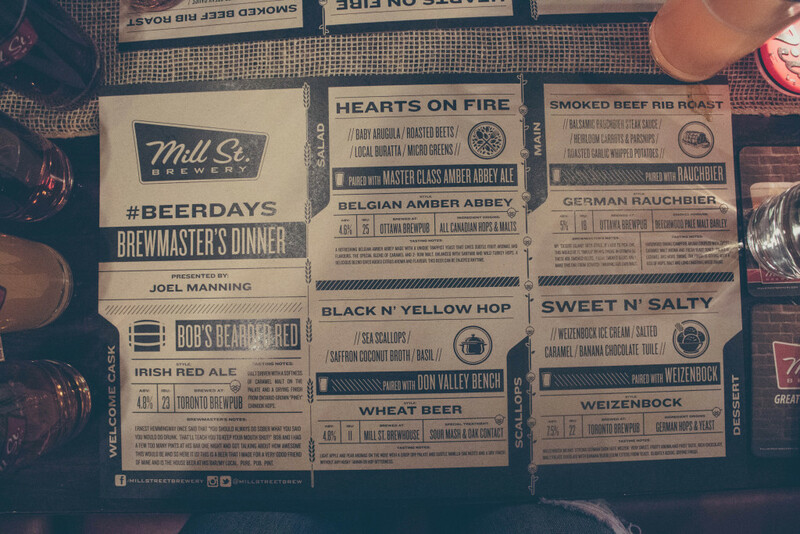 The first night was the Brewmaster’s Dinner. 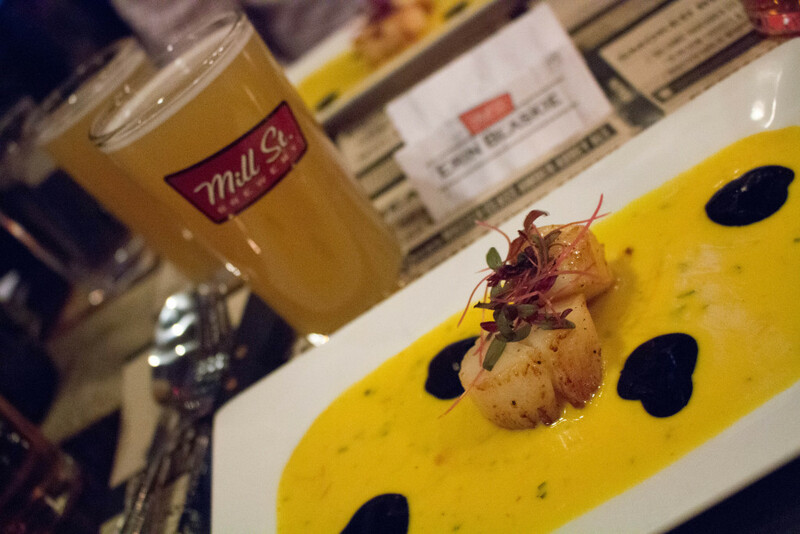 A custom menu was prepared and each course was paired with one of Mill Street’s beers. The entire experience was phenomenal and let’s just say, I was WAY overstuffed when I left there that evening. 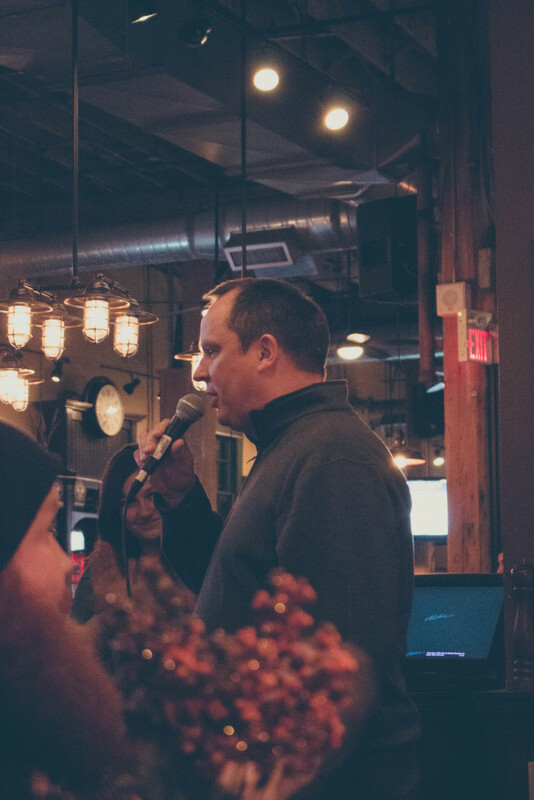 The evening was filled with connection and laughter and conversation and of course, craft beer. It was precisely what I needed after a day of travel and I am so grateful for the entire experience. So. Much. Fun. I was so happy to see some of my favourite faces: Duri Alajrami, Kathy Buckworth, Erin Bury and Craig Silva, to name a few. I also got to meet some new people and connect with them both in-person and online. Love me some human connection. 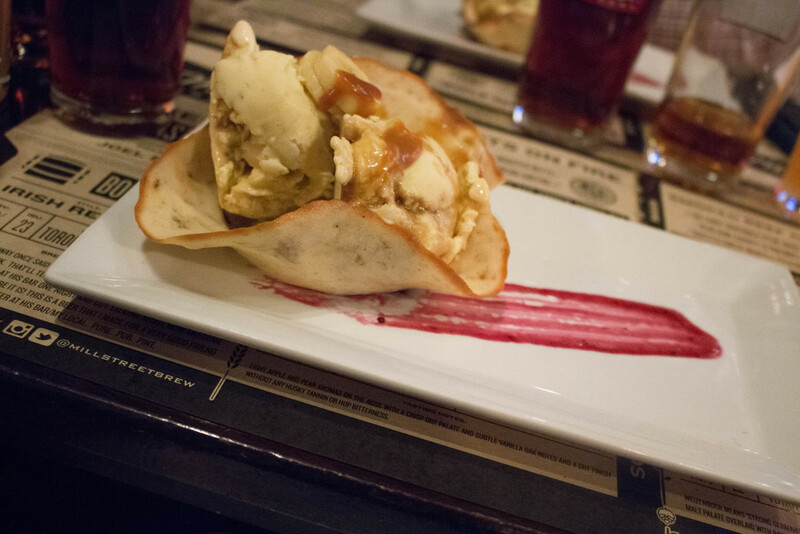 Are you in a digital food coma yet? After dinner, we all headed back to our rooms and set our meet time for the next morning. I’ll share a bit more about my stay at the Fairmont Royal York in a separate post. 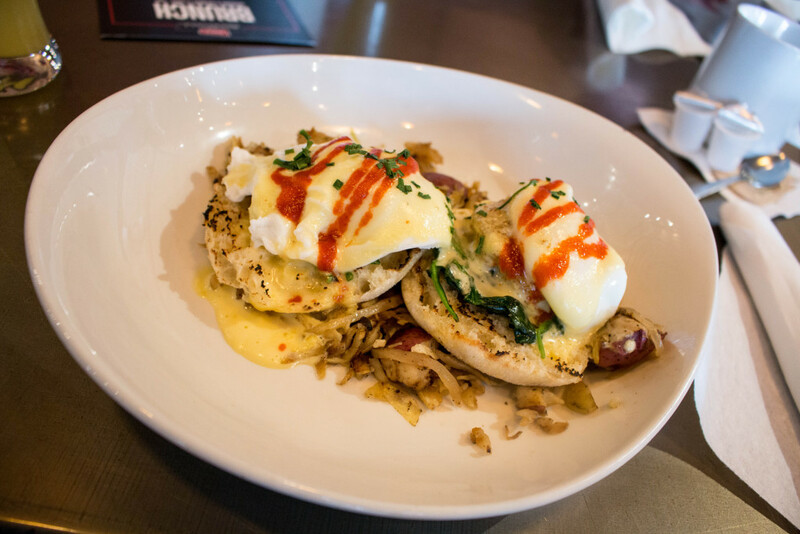 After a delicious brunch (no seriously, look at the photo below… we had this at the Mill Street Brew Pub! 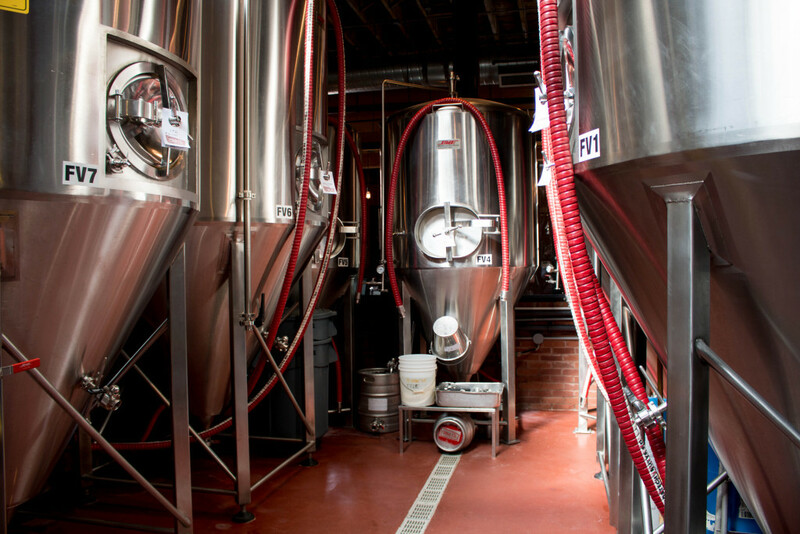 ), we joined up with Joel (brewmaster, for those of you who may have forgotten) for a tour around the brewery. 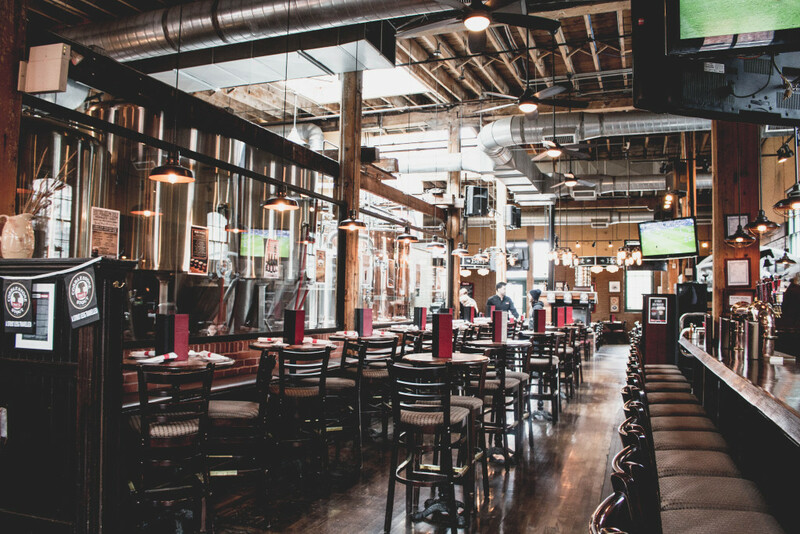 I learned a lot during the tour and I LOVED seeing the original brewery and hearing about where they are now and how they are expanding their operations. As an entrepreneur, I get excited about growth and seeing Mill Street’s growth curve firsthand was really something. 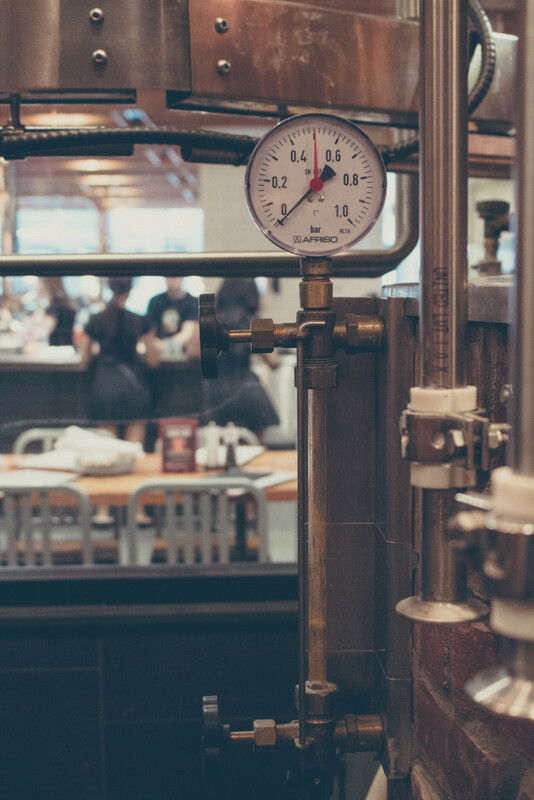 Joel is extremely knowledgeable about his craft, as would be expected, and he explained everything from how they choose their beer styles to the ingredients that they put in the beer (and where they source them) and what the process looks like. After the tour, we did a little segway tour around the Distillery District, but I’ll save that for a future post, too! I took so many photos around the area that I need to put them together in a little collection. It has become one of my favourite areas of Toronto and I am a little surprised that I haven’t made my way there before now! This was actually one of my favourite moments. I LOVE hearing business-related success stories and I love bumping up against other people’s passions. It is incredibly contagious and I find myself leaving these moments feeling ready to take on the world. Hearing Steve and Joel talk about the company’s humble beginnings and the successes (and tribulations) that they experienced along the way was really inspiring. Being a consumer, I prefer to bring products into my life where I know the backstory, have met the owners and can hear in their voice the passion they have for what they do. It’s happened before with wine (here’s looking at you, Flat Rock Cellars…) and here I was, falling in love with Mill Street’s company ethos. The room was filled with people from all walks of life and of varying levels of beer enthusiasm so it was really interesting to hear the questions that got asked throughout the session. Some people, who were influencers in the craft beer industry, had hard-hitting questions for Steve and Joel that were pointed and direct but the gentlemen handled the questions honestly and transparently, which I think everyone in the room appreciated. 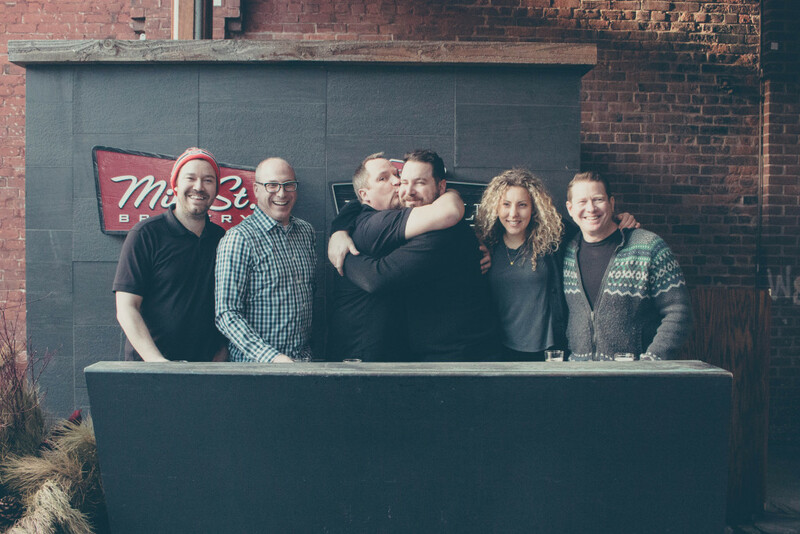 Here’s what I do know to be true: Mill Street is a family. Every person I met throughout the weekend, who worked for the company, didn’t treat the building and the product as though it were merely a job that they had to show up to. 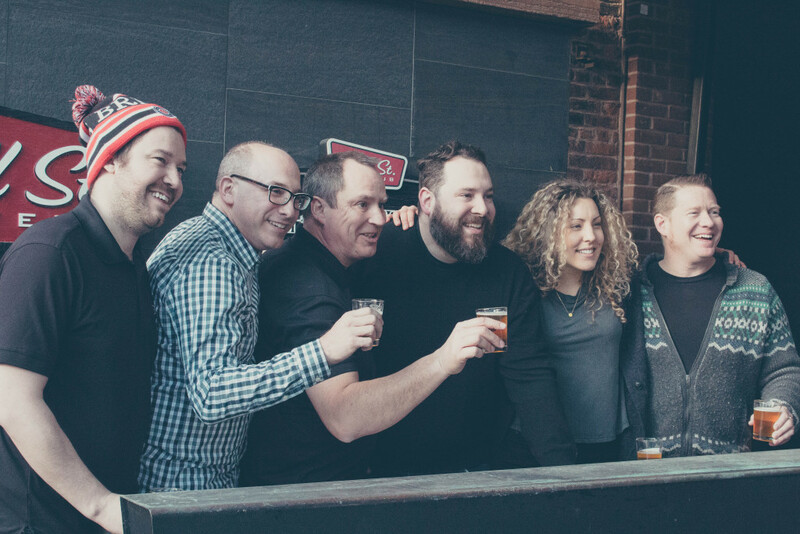 The people I met were truly invested in the brand and were striving to maintain its craft beer ethos… even through these changes. They were invested, heavily, into the opinions of the people who matter most to them: their customers. Seeing that level of care made me realize that no matter what happens in a company’s history, keeping your customers at the centre of it all is what matters most. Mill Street is knocking that one out of the park. After the Q&A session, we had some downtime before we headed over to battle each other with axes… and yep, you guessed it, I’ll have a separate post about that, too! Before I close out the Mill Street portion of the weekend, I just want to extend my sincerest appreciation to Mill Street for opening their doors, making themselves accessible to us (both in body and in their transparency) and for teaching me A LOT about beer, beer making and the beauty and finesse of craft beer. I am extremely grateful for the experience and it’s something I won’t forget. ← previous Our Annual Tradition: Fulton's Sugar Bush!